In a talk filled with data, Chart-Track director Dorian Bloch said that the UK physical games market is still very much alive and growing. In fact, he predicted the UK boxed market will be worth 1.758bn next year, and that will rise again to 1.978bn in 2016. In total, Bloch says that from the launch of Wii U in 2012 to the end of 2016, the UK boxed games market will be worth 5.8bn. It may be good news for the boxed market, but for smaller retailers and smaller games, the boxed sector is becoming less viable. Bloch revealed that last year the Top 10 boxed Video Games accounted for 36 per cent of all games sold, the highest figure yet. This year that number already sits at 31 per cent, and that’s before the likes of FIFA, Call of Duty, Assassin’s Creed and GTA have launched. By comparison, in 2008 only 18 per cent of sales came from the Top Ten best-selling games. In addition, during 2013, 82 per cent of game sales came from the Top Six retailers (which includes GAME and Amazon). This year that figure is currently even higher, with 83 per cent of all games sold coming from the six biggest stores. Back in 2008, that number was just 74 per cent. It’s bad news for any store that isn’t amongst those six super-retailers. PC was a dominant topic at Games Retail 2020. Eva Hunyadi of research firm Juniper Research said that, come 2019, PC will be the most lucrative platform, ahead of smartphones and consoles. Green Man Gaming’s Darren Cairns then delivered a strong speech on why PC gaming is the future of the games industry. He stated that PC gaming hardware will be worth $23bn by 2017, and that, according to DFC, the global PC games market will hit $26bn by the end of the year. He also estimated that there are over 711m PC gamers in the world. 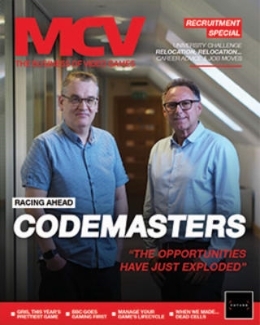 The transition from physical to digital elongates the product life cycle and you can sell to a large global audience with a large catalogue,” said Cairns. For all the joy of PC, it was bleak news for the portable. 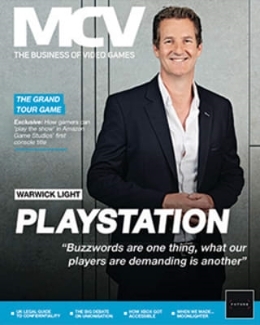 Foreshadowing our cover story this week, Juniper’s Hunyadi said that handheld gaming has struggled to attract new players, and will account for less than two per cent of the market by 2019. One final prediction from Juniper was that we may see a new Xbox or PlayStation as early as 2019. Hunyadi said that platform holders will have to be more reactive to challenges from cheaper boxes such as Amazon’s Fire TV. Book publisher Egmont revealed that its best-selling Minecraft book has now sold 1m in the UK. 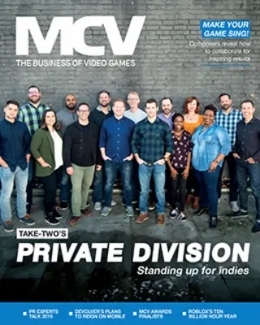 The firm said it is official Minecraft titles that are proving most popular, with the best-selling unofficial book – Minecraft for Dummies – only selling 20,000 units. Book and magazine publishers have been slow off the mark with merchandise,” admitted Egmont’s Emma Cairn-Smith. It was just Moshi for a while, and we thought that was it, but then it was Skylanders and Minecraft. If you look at where kids are choosing to spend their time, they are moving away from the TV. They’ve moved to tablets and to other gaming devices. So we have moved our publishing attention to that whole genre. Video game clothing firm Insert Coin took part in the same merchandise discussion, and stated that gamer clothing has become ‘cool’. Wearing gaming clothing no longer has [negative] stigma attached to it,” said owner and creative director Jon Rhodes. He added that gamers will even pre-order gaming clobber, and stated that players are willing to spend on games merchandise throughout the year – not just at Christmas. For all the talk about the rise in digital, 29 per cent of IGN’s audience still prefer to buy games from a brick and mortar shop. The firm’s Adam Hopkinson and Chris Shepperson asked 1,612 users where they like to buy their games. 29 per cent opt for in-store and 39 per cent prefer online, while 32 per cent have no preference. In terms of the most popular destinations, for the High Street it was GAME (with 71 per cent of the ‘shop’ vote) and for online it was Amazon (with 52 per cent of the ‘online’ vote). And that is even worse on mobile, with 97 per cent of people who click ‘buy now’ not actually acquiring the product. Powa CEO Dan Wagner revealed these stats as he showcased the firm’s PowaTag technology, which lets users acquire content via an app, without the need to put in card and address details every time. Gamers can even do it in the real world: they can see a QR code on an advert, scan it with their app and it’s already bought and on its way to their homes. 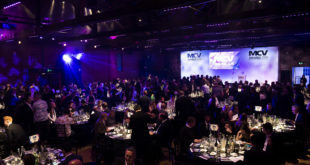 Here are your MCV Awards 2019 winners!